The Sausage Tree, sometimes called a Cucumber Tree, is truly a one-of-a-kind botancial bastion. 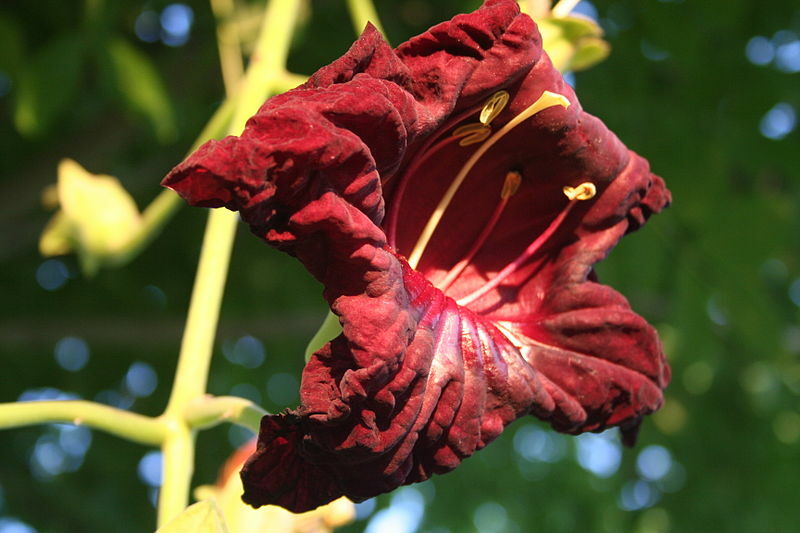 A member of the Bignoniaceae family (more common plants in this family include the gorgeous purple Jacaranda tree) is a stand alone in its genus with no other members of the Kigelia clan. It can can grow more than 60-feet tall and produces impressive fruit that can grow nearly 2-feet long and weigh as much as 15 lbs. 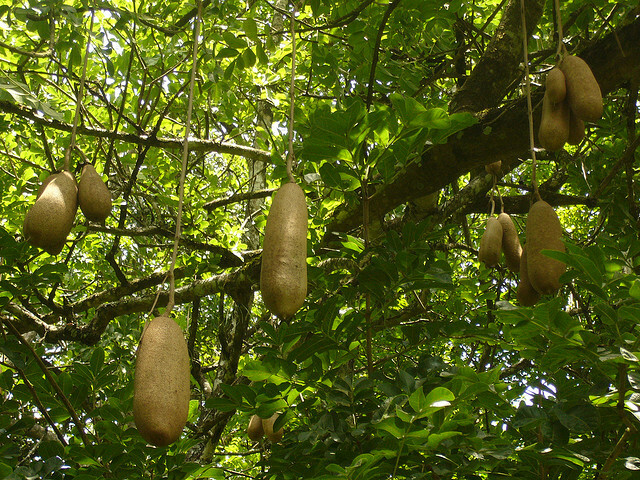 These long sausage-like fruit give the tree its distinctive name. And while you might already see this as a potential horror-movie plant (it has a very science fiction quality to it) what makes it just a hair cooler is its pollinator! The amazing flowers that are produced (prior to fruiting of course) are red bell-shaped flowers that grow horizontally but hang in swinging clusters. Perfect for the bat. The scent is strongest at night, a sign that bats are its key pollinator, although some birds and bees do visit this plant. It basically takes whatever help it can get! 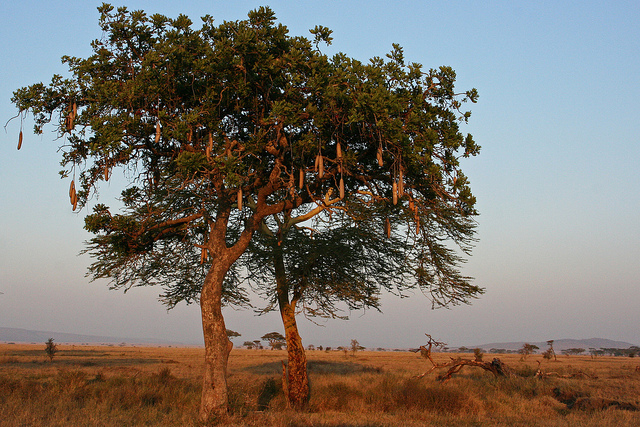 In traditional African herbal medicine, the fruit of the Sausage Tree is thought to cure many ailments, including snakebites, evil spirits, and syphilis! The fresh fruit is quite poisonous and therefore used as a purgative. (Um, makes sense why it is believed to rid the riddled of evil spirits!) Research is being done especially in UK labs to test the potential healing properties on skin ailments such as psoriasis and eczema. So before you get busy frying up a “sausage fruit” for dinner, think again. Also in the Bignoniacea family is the Calabash Tree, native to the Philipines. It produces large, globular fruit.